Do you work out of your Chrome browser at work? You’re in good company! At our Redbooth offices in Silicon Valley and Barcelona, many of us spend quite a bit of time in Chrome (although for a distraction-free virtual workspace, we open up Redbooth’s desktop app). There are lots of good password-saving options that can save you time throughout the day. “I can sign up really quickly to any of the dozens of SaaS tools we use daily,” says Redbooth CTO Pau Ramon Revilla of Meldium. 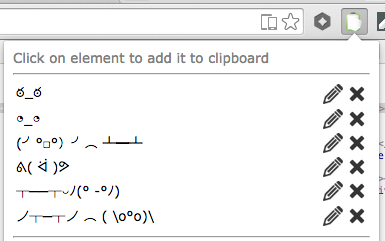 “I use Permanent Clipboard to have quick access to my favorite ASCII emojis,” says Màxim Colls, full stack developer. 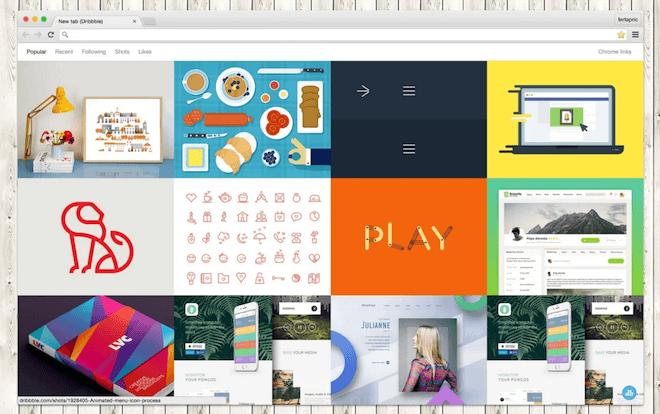 “For those with an artist’s soul I recommend Dribbble New Tab. Very inspiring,” says frontend developer Andrés Gutiérrez of the visually appealing extension that offers up a changing array of designers’ work with each new tab you open in Chrome. Pau Perez recommends “Momentum, which I really like” — and which greets you with the time, a nature photograph, and a personalized message, along with a prompt about your main focus for the day. If you work a lot in Google Drive, you might feel impatient when you’re asked to download an Office doc. 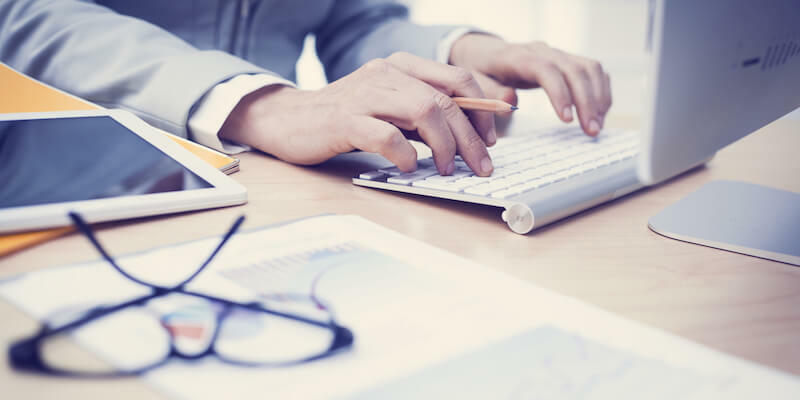 That’s why Customer Success Manager Pedro Brito likes the Office Editing extension: “You can view and modify Office documents straight from Google Drive, bypassing the hoopla of converting to Google’s format and then saving back to .doc, .xls or .ppt again,” he says. Lever’s job posting and candidate screening software has been winning rave reviews internally at Redbooth for months, so it’s no surprise that the Lever Hire extension is also a favorite. “Whenever I’m on Linkedin or Github, if there is a candidate I like, I can easily add him or her to a currently open job posting. This allows me to build my pipeline super fast,” said Pau Ramon Revilla of Lever Hire. For Github, Android developer Francisco M Sirvent Sala likes OctoTree, which shows the code tree in Github (and keeps you from having to keep multiple tabs open) and Pretty Pull Requests, which collapses pull requests, making them much easier to navigate. Buffer has fans on Redbooth’s marketing team for its streamlined, user-friendly interface and outstanding customer support. But you don’t have to be a professional marketer to use the polished Buffer Chrome extension for your own social media, says Redbooth’s Carlos Saura. 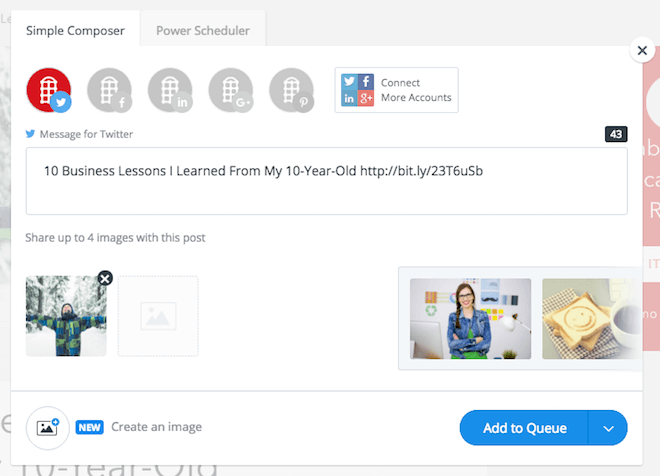 With the Buffer extension, you can click on an article you have open and easily send it to your social media queue to share at a future time…so you don’t bombard your followers with 5 updates at once. Working in a lively open office, headphones and background music are helpful for concentrating on complex tasks (for more tips, see our recent post on 9 ways for staying focused in an open office). For fans of Pandora — or Spotify, Amazon Music, Google Music, SoundCloud, or a host of other services — SndControl is a handy way to manage your soundtrack from your Chrome toolbar. As Redbooth’s content marketing manager, I use SndControl’s Audio Control Pad for Chrome just about every day! It’s free to connect one service, and you have the option to pay a small monthly fee or one-time lifetime subscription payment to connect with all 18+ music and podcast services. Is there a Chrome extension not mentioned here that helps you stay productive at work? Let us know in the comments!